Orca Gold Announces a Maiden Resour | Orca Gold Inc.
VANCOUVER, Oct. 3, 2018 /CNW/ - Orca Gold Inc. (TSXV: ORG) ("Orca" or the "Company") is pleased to announce an inferred maiden mineral resource estimate ("Mineral Resource Estimate") at the Koné Prospect, on the Morondo Licence, and reports that it has closed its previously disclosed acquisition from Kinross (see Company news release on February 1, 2017) of a highly prospective land package of 2,268km2 in Côte d'Ivoire (Figure 1). The acquisition from Kinross comprises a land package of approximately 2,268km2 positioned on highly prospective structural trends related to known gold mineralization and forms a strategic portfolio for Orca's expansion in West Africa (Figure 1). The Mineral Resource Estimate was undertaken by MPR Geological Consultants of Perth, Australia ("MPR") who estimated mineral resources using Multiple Indicator Kriging ("MIK") based on mineralised domains interpreted by MPR. The Mineral Resource has been prepared in accordance with the Canadian Institute of Mining, Metallurgy and Petroleum "CIM Definition Standards for Mineral Resources and Mineral Reserves" (CIM, 2014). Numbers may not add up due to rounding. Drilling to date at Koné totals 17,644m of reverse circulation ("RC") drilling in 115 holes and 528m of diamond drilling in two holes. Koné was discovered by Red Back Mining in 2010 with 4,284 m of shallow RC drilling completed. Following ministerial approval of Orca's acquisition of the project from Kinross (see Company news release on November 6, 2017), Orca has completed 13,888m of RC and diamond drilling including 13,728m in the resource area. The mineralised package at Koné is up to 220m in true width, dipping 50-55° to the north west. Within this wide mineralised domain drilling has defined a series of lower angle (25-30°), higher grade structures (Figure 3) that form a core of mineralisation grading over 1.5g/t. Mineralisation is hosted within a variably foliated diorite intrusive and is associated with biotite alteration, minor silicification, disseminated pyrite and quartz-carbonate-pyrite-chalcopyrite veining. The Mineral Resource Estimate has been estimated within the central part of a 2.6km long gold in soil anomaly, which has been tested by 100m and closer spaced drill traverses (Figure 3). Mineralisation remains open with several low-grade intercepts received from first pass drilling to the north and little or no exploration carried out to the south. The southern margin of the resource is marked by one of the best intercepts received from Morondo in hole MRC069 which returned 41m grading 2.11g/t. A full listing of Orca's drill results from Koné is included in Appendix 1 below. Three composite core samples were submitted to ALS Ammtec in Perth, Australia for preliminary test work. Comminution test work confirmed the moderate to soft nature of the rock with BWI values of 3.0, 5.2 and 10.7kwh/t for oxide, transition and fresh rock, respectively. Whole rock bottle roll leach tests at -75µm grind returned recoveries of 97.8%, 96.5% and 91.4% for oxide, transition and fresh rock, respectively, with low reagent consumptions of 0.20kg/t CN and 1.0kg/t Lime. Heap leach tests (coarse rock bottle rolls) returned recoveries of 95.5% for oxide, 79.1% for transition and 57.4% for fresh using a 5mm crush size. The Mineral Resource Estimate and first phase metallurgical test work will form the basis for a Preliminary Economic Assessment ("PEA") which is expected to be completed in early 2019. The Company is also exploring on the other issued permits in its Côte d'Ivoire portfolio including the Korokaha North permit that lies adjacent to the east of Randgold's Tongon mining lease. Previous exploration on this permit by Red Back identified anomalies in soil geochemical sampling that will now be followed up by Orca. Commenting on the new Mineral Resource Estimate, Hugh Stuart, President and Director of Orca Gold, said "It's very satisfying to be able to report the maiden resource for the Morondo Licence. With only a small amount of drilling in a short period of time, we managed to define a resource exceeding the 1Moz mark. Mineralisation at the Koné Prospect is remarkably coherent with significant mineralised widths, is easily amenable to open pit mining and shows good leach characteristics. Importantly, there is still a lot of work to do at Koné as it remains open, it is not yet fully explored or understood and is part of a growing mineralised trend that could provide further opportunity. We look forward to continuing exploration to increase this initial resource while at the same time preparing a PEA on the Koné Prospect." The Company has now completed its acquisition from Kinross Gold Corporation (TSX:K) (NYSE:KGC) ("Kinross"), of all of the issued and outstanding common shares of the two wholly-owned Kinross exploration subsidiaries located and operating in Côte d'Ivoire. The acquisition is pursuant to a share purchase agreement among Orca, a wholly-owned subsidiary of Orca and two wholly-owned subsidiaries of Kinross (the "Kinross Agreement") (see Company news release on February 1, 2017), which collectively owned and had rights to the Morondo, Korokaha North and Bassawa exploration licences, and four exploration licence applications (collectively, the "Côte d'Ivoire Exploration Assets"). The Côte d'Ivoire Exploration Assets are comprised of: the Morondo licence, located north of the town of Seguela, the Korokaha North licence and Korokaha South application which lie immediately adjacent to the east of Randgold's Tongon Mine; the Bassawa licence and Satama application, located on the southern extension of the Houndé Belt; and, the Zuénoula Ouest and Zuénoula Est applications, located 40km north west of Perseus's Yaouré project (Figure 1). granted to Kinross a 2% net smelter return royalty on products mined and sold from the Exploration Assets. In respect of the closing with Kinross, Richard Clark, CEO of Orca said: "The Company is very pleased to have achieved the completion of its agreement with Kinross on the Côte d'Ivoire Exploration Assets. I wish to take this opportunity to thank Kinross for its cooperation in achieving this end after a long administrative process. With Kinross' consent we have been able to commence exploration in Côte d'Ivoire before an official closing of the transaction. This has resulted in the early discovery of an exciting initial resource on the Morondo Licence, clearly demonstrating how prospective this strategic land package is." 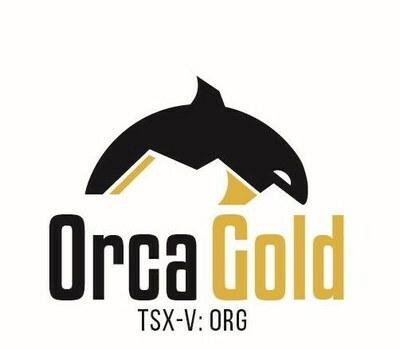 Orca Gold Inc. (TSX-V: ORG) is a Canadian resource company focused on exploration and development opportunities in Africa, where it is currently focused on the development of its 70%-owned Block 14 Gold project in the Republic of the Sudan. The Company has an experienced board of directors and management team and a strong balance sheet. The technical contents of this release have been approved by Hugh Stuart, BSc, MSc, a Qualified Person pursuant to National Instrument 43-101. Mr. Stuart is the President of the Company, a Chartered Geologist and a Fellow of the Geological Society of London. The Mineral Resource estimate was carried out by Jonathon Abbott of MPR Geological Consultants of Perth, Western Australia who is considered to be independent of Orca Gold Inc. Mr. Abbott is a member in good standing of the Australian Institute of Geoscientists and has sufficient experience which is relevant to the commodity, style of mineralization under consideration and activity which he is undertaking to qualify as a Qualified Person under National Instrument 43‐101. Mr. Abbott consents to the inclusion in this press release of the information, in the form and context in which it appears. Samples used for the results described herein have been prepared and analyzed by fire assay using a 50-gram charge at the Bureau Veritas facility in Abidjan, Côte d'Ivoire and at the Intertek laboratory in Tarkwa, Ghana in compliance with industry standards. Field duplicate samples are taken and blanks and standards are added to every batch submitted. The Company will file a NI43-101 compliant Technical Report within 45 days of this release. This press release contains forward-looking information and forward-looking statements within the meaning of applicable Canadian securities laws, including statements regarding Orca's (the "Company", the "Corporation", "we" or "our") plans and expectations relating to the Block 14 Gold Project ("Block 14") in northern Sudan and the Feasibility Study ("FS") currently being conducted by the Corporation. These statements relate to analyses and other information that are based on forecasts of future results, estimates of amounts not yet determinable and assumptions of management. Statements concerning mineral resource estimates may also be deemed to constitute "forward-looking statements" to the extent that they involve estimates of the mineralization that will be encountered if the property is developed. The assumptions, risk and uncertainties outlined below are non-exhaustive. Should one or more of these risks and uncertainties materialize, or should underlying assumptions prove incorrect, actual results, performance or achievements of the Corporation, or industry results, may vary materially from those described in this presentation. Any statements that express or involve discussions with respect to predictions, expectations, beliefs, plans, projections, objectives, assumptions or future events or performance (often, but not always, identified by words or phrases such as "expects", "anticipates", "believes", "plans", "projects", "estimates", "assumes", "intends", "strategy", "goals", "objectives", "potential", "possible" or variations thereof or stating that certain actions, events, conditions or results "may", "could", "would", "should", "might" or "will" be taken, occur or be achieved, or the negative of any of these terms and similar expressions) are not statements of historical fact and may be forward-looking statements. Forward-looking statements and forward-looking information are not guarantees of future performance and are based upon a number of estimates and assumptions of management at the date the statements are made including without limitation, assumptions about the following (the "Forward-Looking Factors"): future prices of gold and other metals; successful exploration, development, and production of Block 14; the timing and completion of the FS; performance of contractual obligations by counterparties; operating conditions; political stability; obtaining governmental approvals and financing on time; financial projections and budgets; obtaining licenses and permits; government regulation of the Corporation's mining activities; environmental risks and expenses; market conditions; the securities market; price volatility of the Corporation's securities; currency exchange rates; foreign mining tax regimes; insurance and uninsured risks; financial projections and results; competition; availability of sufficient capital, infrastructure, equipment and labour; dependence on key personnel; dependence on outside parties; conflicts of interest; litigation; land title issues; local community issues; estimation of mineral resources; realization of mineral resources; timing and amount of estimated future production; the life of Block 14; reclamation obligations; changes in project parameters as plans continue to be evaluated; and anticipated costs and expenditures and our ability to achieve the Corporation's goals. While we consider these assumptions to be reasonable, the assumptions are inherently subject to significant business, social, economic, political, regulatory, competitive and other risks and uncertainties, contingencies, many of which are based on factors and events that are not within the control of the Corporation and there is no assurance they will prove to be correct. Forward-looking statements are subject to a variety of known and unknown risks, uncertainties and other factors that could cause actual events or results to differ from those reflected in the forward-looking statements, including, without limitation known and unknown risks, uncertainties and other factors relating to the Forward-Looking Factors above, and those factors disclosed under the heading "Risk Factors" in the Corporation's documents filed from time to time with the securities regulators in the provinces of Canada. In addition, a number of other factors could cause the actual results, performance or achievements of the Corporation to differ materially from any future results, performance or achievements expressed or implied by the forward-looking information, and there is no assurance that the actual results, performance or achievements of the Corporation will be consistent with them. For further details, reference is made to the risk factors discussed or referred to in the Corporation's annual and interim management's discussion and analyses on file with the Canadian securities regulatory authorities and available electronically on the SEDAR website at www.sedar.com. Although the Corporation has attempted to identify important factors that could cause actual actions, events, results, performance or achievements to differ materially from those described in forward-looking statements and forward-looking information, there may be other factors that cause actions, events, results, performance or achievements not to be as anticipated, estimated or intended. There can be no assurance that forward-looking statements or information will prove to be accurate, as actual results and future events could differ materially from those anticipated in such statements. Such forward-looking statements and information are made or given as at the date of this presentation and the Corporation disclaims any intention or obligation to update or revise any forward-looking statements, whether as a result of new information, future events or otherwise, except as required under applicable securities law. The reader is cautioned not to place undue reliance on forward-looking statements or forward-looking information. True widths are between 80 and 100% of drilled intercept length. "Complete Intercept" column shows the intercept for the entire mineralised width. Return to the 2018 list.